The holidays are here and chances are you have a girl that loves a little sparkle in her life, I know I do - myself included. I couldn't help but get inspired by BaubleBar's latest sparkling partnership with Vaseline. I mean who doesn't want their holidays to shine? The holiday season limited edition, co-designed, iridescent fine european crystal encrusted jar adds just the right sparkle to your holiday gifting this season for under $50. Don't worry the bejeweled jar carries the same Vaseline Lip Therapy Original we've all come to know and love every winter, made with 100% pure, triple-refined Vaseline Jelly to lock in moisture. It might be tiny, but it's fab. 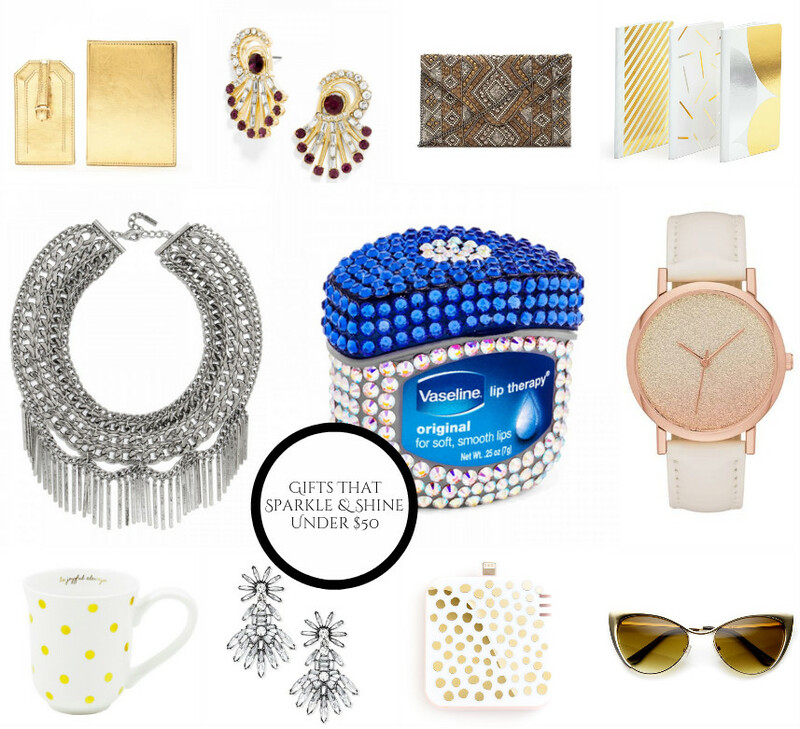 With Sparkles and Shine on mind, I'm grabbing inspiration from the BB x Vaseline collaboration and sharing my favorite gifts with shimmer that will make the glam-loving gal in your life smile, and for under $50! Grab the exclusive bejeweled Vaseline Jar exclusively at BaubleBar.com for $45.